There are several recipes for this soup, some people add tomatoes and pepper, some people add only pepper etc. I like this variation better as it is quick and easy. I skipped some steps, like removing the fish from the pot and adding your thickener. I do not see any need for that as it is a messy process and could break the fish. I am not a Lazy chef for nothing :)) I like to cut the cooking process in the kitchen when necessary. 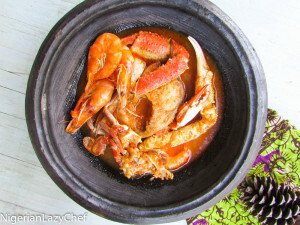 This soup has become one of the staples in my home and can be served with fufu, rice, eba, yam or even boiled potatoes. I always say food is versatile. If using crabs, add them right before you add the shrimp and let them cook for a few minutes. This entry was posted in Eating Healthy, Efik Recipes, fish, Fish recipes, gluten free nigerian recipes, Gluten free recipes, Healthy Eating, Healthy Nigerian, Healthy Nigerian Dishes, Healthy Nigerian recipes, Nigerian local soups, Nigerian soups, sea food, sea food recipes, Soups and tagged Efik fisher man soup, Efik recipes, Efik soup, Fisher man soup, fisherman stew, freh fish soup, Nigerian fisherman soup. Nice one Nma, am Riverine but never knew d history of fisherman stew. We learn daily lol. I hope to try this soon, even though the sight of slimy catfish irritates me. I heard they use unsweetened cabin biscuit as thickener sometimes, how true is that? I have evolved in the art of cooking fisherman stew myself being married to an Efik man who LOVES it. Chinwe that is Simply Awesome! I had this fisherman soup once @ a restaurant in portharcourt (jevinik), it had less oil and the soup had mashed fish in it. Truly delicious, always wondered how it was made. I’ll give this a trial. I here its mostly an efik delicacy. I know this is years late lol but I just stumbled on your blog off the internet while looking for something entirely different. Please I’d like to know, is the garri soaked in cold or hot water? Othere recipes for fishermans soup have okro in them. Yours doesn’t. Why? 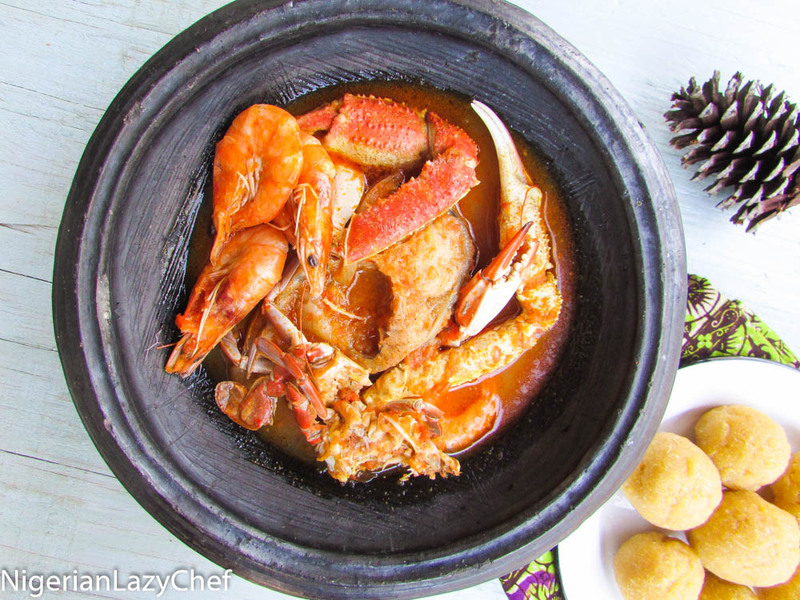 Though I haven’t seen any fisherman soup with okra, every recipe is different or have a slight difference.